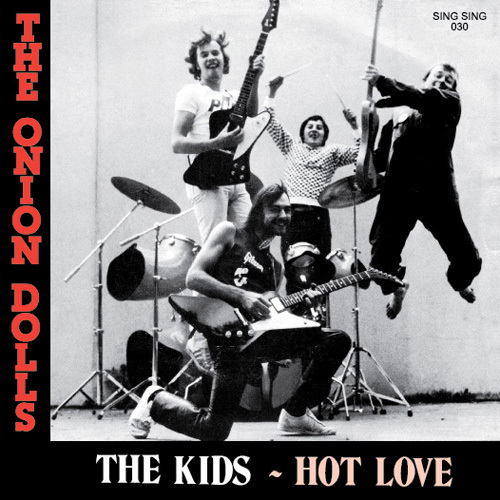 The Onion Dolls, a four piece punk band from Belgium managed to release this lone 45 before changing their name to Crossfire and fully embracing the New Wave Of British Heavy Metal movement that was sweeping Europe in the early 1980's. Both tracks on this 45 are unsuppressed killers with shredding guitar lines giving up more than a hint of the NWOBHM influenced sound that was to come. Originally released in 1980 on the TWINKLE label in an edition of 1000 copies with a truly great picture sleeve this highly sought after single is one of Belgiums greatest Punk Rock gems.